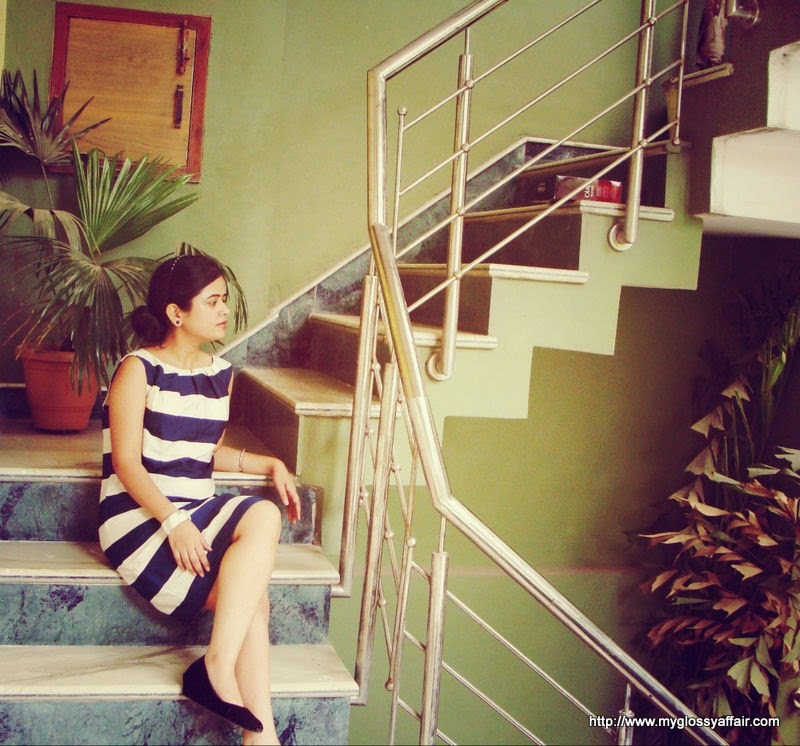 Today, I am here with a lovely, cool outfit post from zovi.com. And I am so impressed with zovi.com’s services that I decided to review it too for my lovely readers and friends. Many a times, I have done shopping from zovi.com and never been disappointed. They were one of the first ones who started including return slip in package so that if you don’t like what you got due to any reasons, you can always return it back!! I have got t-shirts, leggings, dresses etc. items from them and except one or two times, I have always been happy. Their leggings are of superb quality. Coming to this dress from zovi.com, this dress is a superb one in crepe. 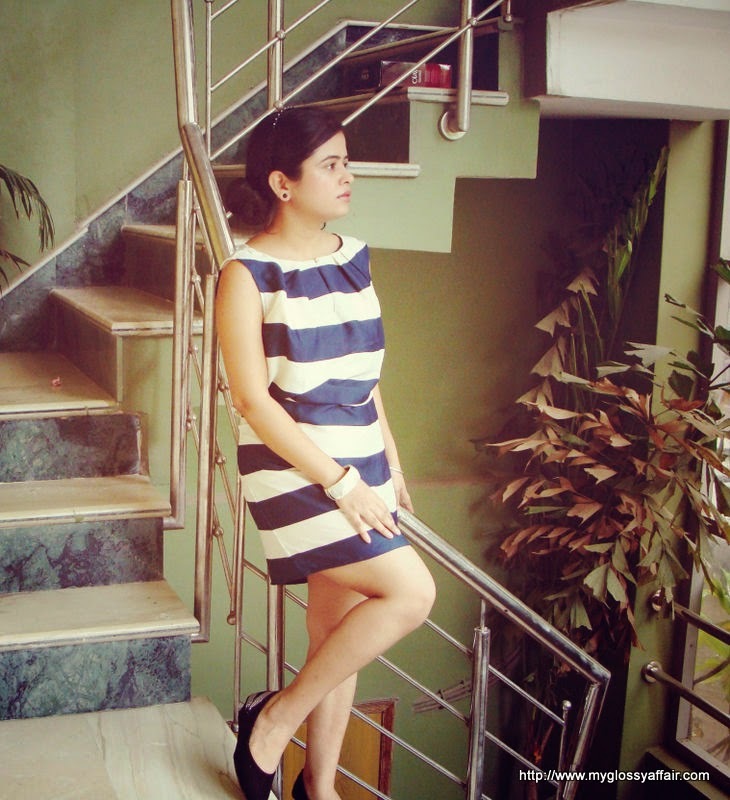 Simple cut, horizontal stripes in white and blue, make this dress casual, classy yet comfortable. Do pour in your love and suggestions. I always love to read from you. 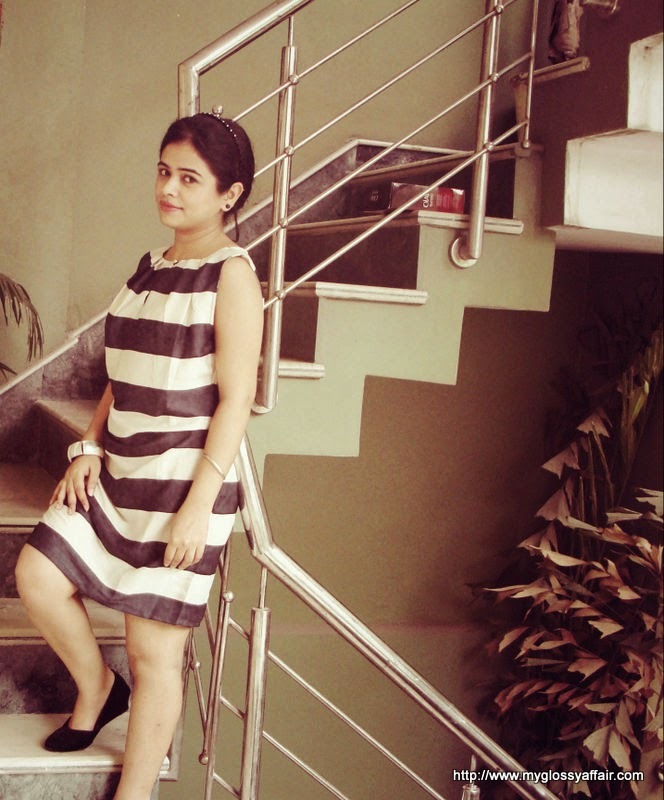 Lovely dress, you never can go wrong with stripes! How that is a stunning outfit Ritcha looks absolutely beautiful. Ritcha is looking gorgeous in this cute dress ! Richa looks pretty and cute. I love the dress. 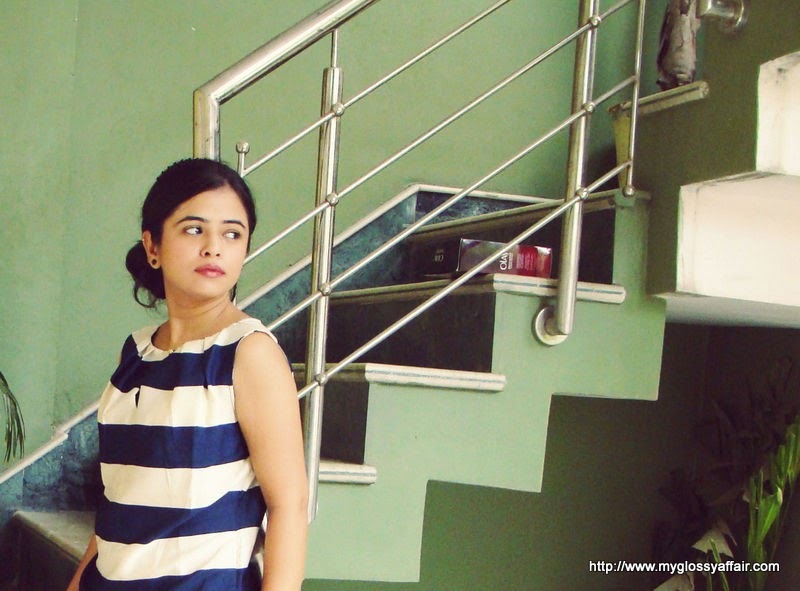 I want a top in those stripes……..
That dress is very pretty, and Ritcha looks beautiful in it! 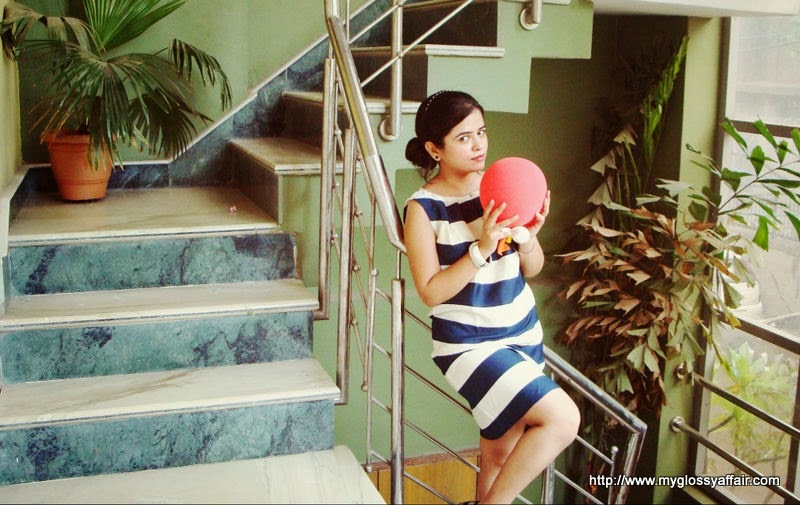 And that stripe dress is so elegant and suits you amazingly! u r looking so pretty Ritcha! Shall check out this website! Looking good Charu. The dress is lovely on you. 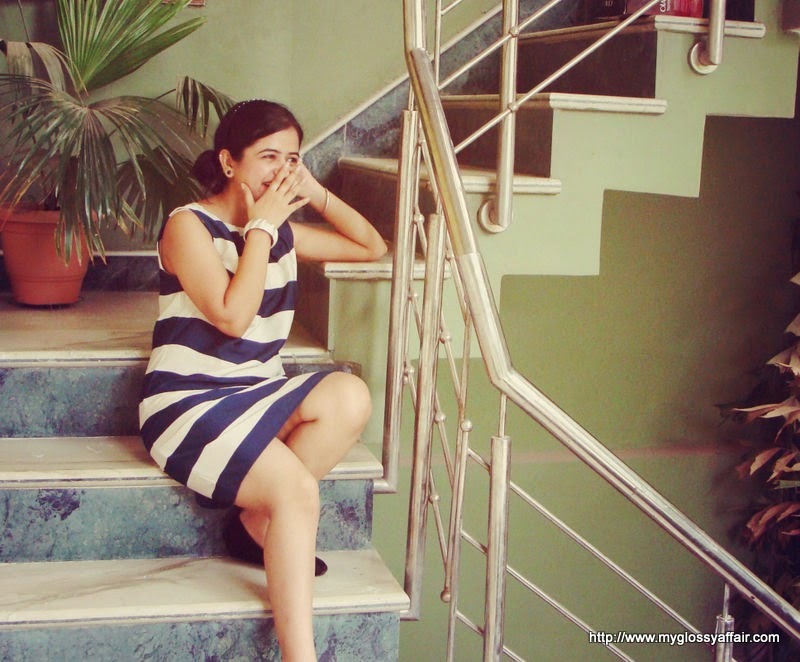 Totally adore your charming and sophisticated style here ;)) Stripe dress is gorgeous! What a fun striped dress. Stripes can be hard to pull off but this looks super cool on you! It's such a pretty dress; great review too. I can never resist a good stripe for summer, especially in a massive bold statement! Lovely! The dress is so pretty and chic! Ritcha carried it beautifully. I really like this dress, so simple and yet chic! I followed you on GFC, Instagram G+ and Twitter as your requestd, hope you'll follow me back! Thanks! so cute!!!! love it !! same pinch 😛 I also ordered same dress 🙂 Loved the OOTD and pictures 🙂 Why the eyemakeup restriction for Ritcha? I love this dress…so chic! 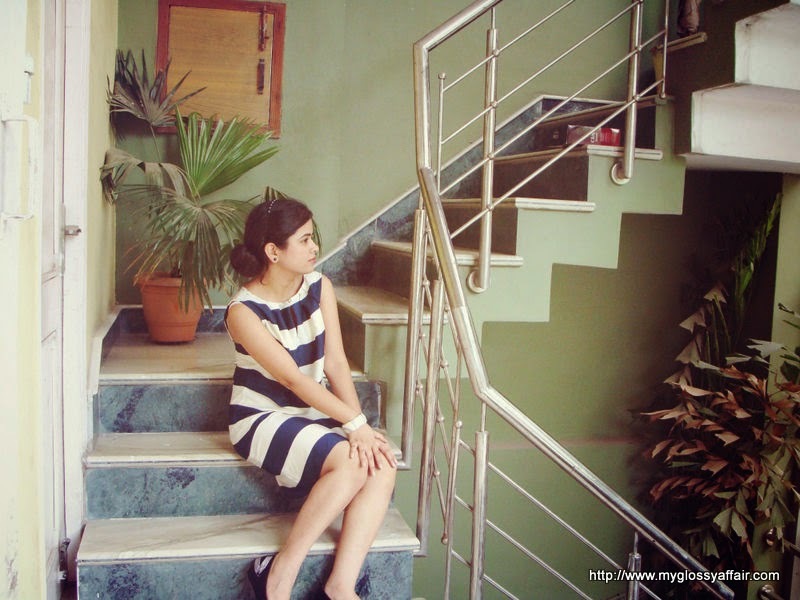 Aaaaah stripes, stripes, stripes… LOVE them, and this is a great dress ! Beautiful pictures and a beautiful dress. 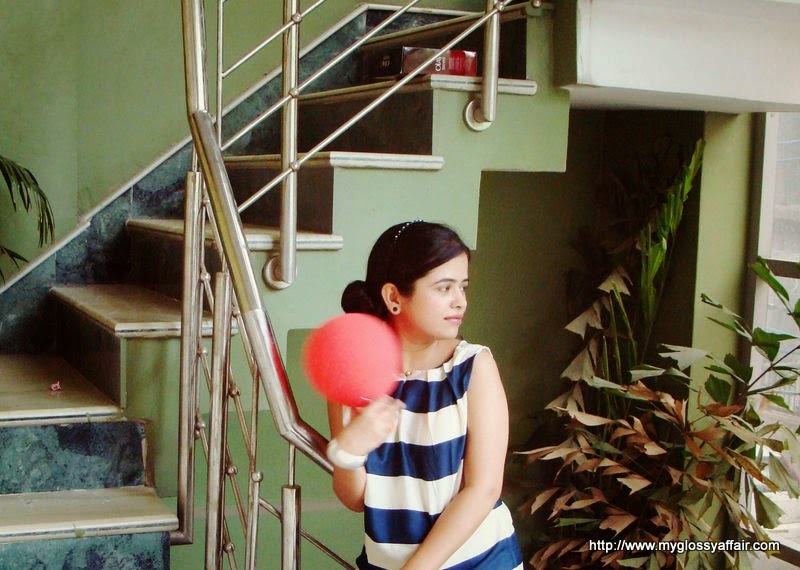 I am following you on bloglovin. Hope I get a followback. 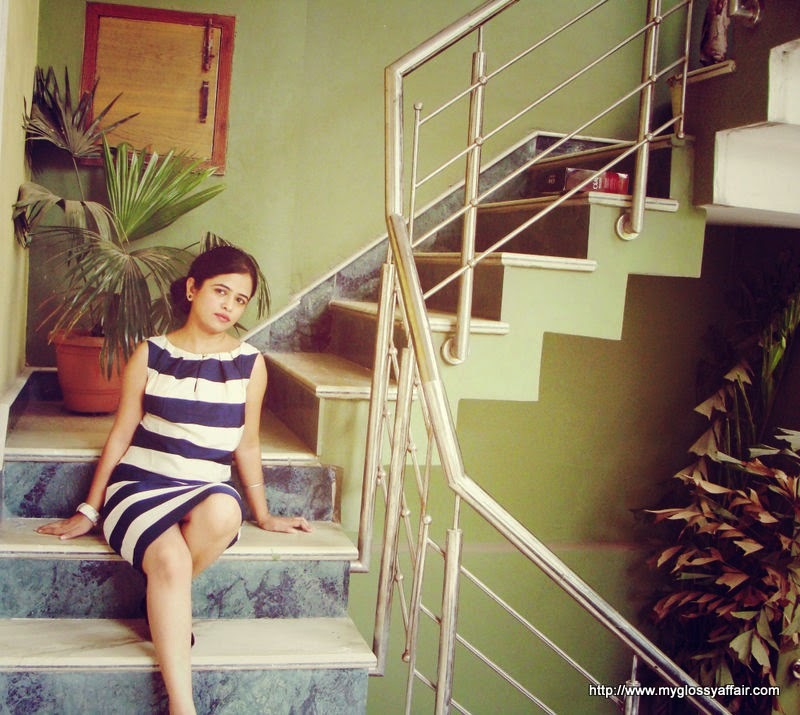 That dress is so relaxed and lovely, I love stripes! I love your blog and I'm definitely a follower now, followed you on instagram too! Loving the look on you. You look very sophisticated and chic. Beautiful dress. A very sweet casual dress, but it would work for a lot of other occasions too, so it's a good purchase! hello. I followed you via GFC, would you like to follow me back? This looks so pretty and comfortable! And I love the shoes!! Ritcha pulls off the stripes really well. She looks gorgeous! you look great with dress! Hopefully you enjoyed your Sunday my dear friend! Postagem maravilhosa amei o look lindas imagens tenha uma semana abençoada. Oh and I have another question for you: when you visited my blog you've noticed that I'm portuguese, right? Were you able to read? Do you suggest that, from now on, I should start to write my posts in english too? It would be more easy? a: I'm the one that you asked if we could follow each other , so here I am 😉 oh and I will also like your fanpage on facebook! Hey! Thank you very much for visiting my blog! But if you want to follow my website visiting me regulary, please! Such a beautiful dress! And thanks for the recommendation for zovit.com – I'd never heard of it before!